Leica has announced the Oskar Barnack Award 2013 international photo competition will open for entries from January 15th, with a first prize worth €15,000 (~ $19,400). The 2013 winner will receive a Leica M digital rangefinder and lens in addition to a €5000 (~ $6500) cash prize. To enter, participants need to submit a portfolio of up to twelve images expressing 'the interaction between man and the environment.' In addition, the Newcomer award, open to photographers under 25 years of age, offers a Leica rangefinder camera and lens as the prize. Submissions are open until 1st March 2013. Leica has announced that it is in discussions with Sir Jonathan Ive - chief designer at Apple - about designing a unique, one-of-a-kind version of its new M rangefinder. 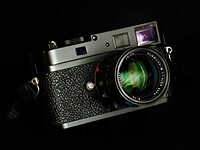 In a statement to the British Journal of Photography, Leica has confirmed that the intention is for the resulting camera to be auctioned for charity in summer 2013. Sir Jonathan Ive is one of the most well-known industrial designers in the world, and is responsible for the design of some of Apple's most iconic products, including the iMac and iPhone. Photokina 2012: Leica has announced its latest M series rangefinder - the 24MP CMOS Leica M. The company says all future M models will also simply be called the 'M'. The latest model (referred to as 'Typ 240') becomes the first of its rangefinders to feature live view, and offers a choice of magnified view or focus peaking for precise through-the-lens focusing, allowing Leica to promise compatibilty with R-mount lenses. It also becomes the first M capable of movie shooting - capturing 1080p footage at 25 or 24 frames per second. It includes a 920k dot LCD with smartphone-style Gorilla Glass cover, and accepts the same plug-in EVF as used by the X2. Availability is scheduled for early 2013 with a retail price of $6,950 in the US and £5100 in the UK. 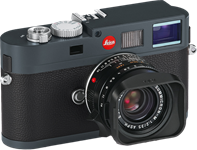 Photokina 2012: Leica has announced a more affordable rangefinder: the Leica M-E. Built around the familiar full-frame 18MP CCD, the company describes the M-E as being a stripped-back camera, offering just the basics required for photography. Its core specifications are essentially the same as the M9's, including an ISO range of 160-2500, 0.68x magnification viewfinder, and the same 230k dot 2.5" screen. 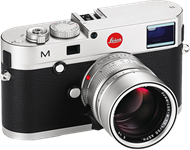 It'll be available from Leica dealers later this month with a retail price of $5,450 in the US and £3900 in the UK. Leica has combined with luxury fashion house Hermès to create the M9-P Edition Hermès. The camera is coated in ocre-colored calfskin leather and features a matching shoulder strap. The camera also features a redesigned, smoother top-plate and control points, designed by the automotive designer, Walter de’Silva, previously responsible for the M9 Titanium. Only 300 of the cameras will be made. A yet more exclusive series of 100 'Edition Hermès – Série Limitée Jean-Louis Dumas' kits will also be sold, in honor of the former president of Hermès. These kits will include a 28mm f/2, 50mm f/0.95 and 90mm f/2 lens, and a exclusive Hermès camera bag. The limited editions will cost $25,000 and $50,000 respectively. 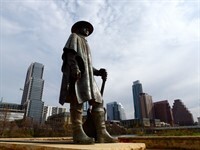 Four photographers spend some time shooting with the Leica M9-P and their favorite lenses. Read about their impressions of using gear that most of us can only dream about owning.